Secretary to the Cabinet Roland Msiska has disclosed that the country will in future build a 2, 000 mega watt nuclear plant. 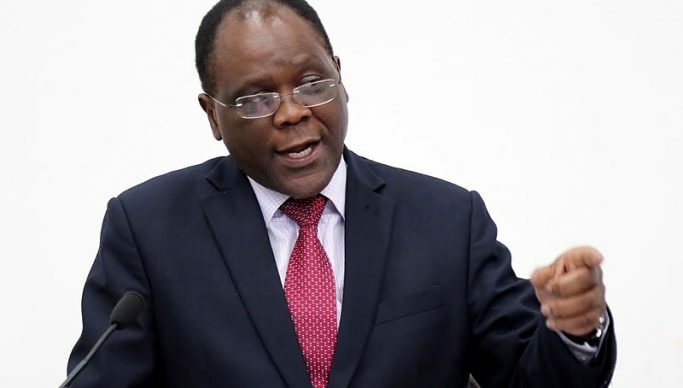 Opening a three day international conference in Lusaka on Wednesday, Dr Msiska who was represented by Cabinet office permanent secretary Bernard Kapasa, however said the project would only be possible in the next 10 to 15 years. The conference on enhancing Africa’s capacity on nuclear security, safety and safeguards is being held at the Mulungushi International conference Centre. He said the mention of the word ‘nuclear’ generally aroused negative reactions from many people. He said Africa should urgently deal with the negative perceptions about nuclear science. “Although empirical data shows that few people have been negatively affected by nuclear applications, most people still view nuclear science as something inherently dangerous. In Zambia, the Patriotic Front manifesto states as follows: ‘In the next five years, the Patriotic Front government shall promote investment in alternative energy sources such as thermal electricity generation from coal and nuclear reactors’,” he explained further. “It is in this context that His Excellency the President of the Republic of Zambia, during his inauguration, announced that Zambia will pursue nuclear technology and its applications as part of a diversified sustainable energy mix to power Zambia’s economy. Efforts are already under way in addressing this matter.” Dr Msiska reminded delegates about the power shortage most countries in southern Africa suffered recently. “To avert future crises of this nature, Africa needs to actively move away from reliance on natural phenomenon if we are to attain sustainable economic development…. Apart from electricity generation, nuclear technology offers Zambia a unique and exciting opportunity to begin to actualise the Smart Zambia mantra by using nuclear science and technology in the non-power sectors such as medicine, agriculture and industry,” said Dr Msiska. “Nuclear science is not populist rhetoric but it is meant to cater for the needs of the future. The nuclear science and technology programme is aimed at creating capacities, synergies as well as knowhow to ensure that Africa benefits the peaceful uses of nuclear science and technology.